Throughout history blood has been imbued with magical properties. Drinking blood was viewed as a source of power for many mythical beasts, centuries before the invention of the modern vampire myth. In Greek mythology Odysseus can revive the dead by giving them blood to drink. But all blood is not the same – the blood from the veins on the left side of the snake-headed Gorgon Medusa is deadly, that from the right side is life-giving. In 1489 the Italian philosopher Marsilio Ficino, proposed that drinking the blood of healthy young men could rejuvenate the sick and elderly. Indeed it seems that an attempt was made to cure Pope Innocent VIII of his stroke by giving him blood from three ten-year-old boys. More dramatically, in the late sixteenth century the Hungarian princess and serial killer, Countess Elizabeth of Bathory, was alleged to have drained all the blood from over 600 young girls to feed her restorative blood baths. Even in the post-enlightenment age, the first blood transfusions had nothing to do with the modern notion of enhancing oxygen supply; instead they were supposed to heal by replacing old bad blood with strong healthy animal blood. Sport has long had a fascination with blood. The blood of the Roman gladiators, mopped by a sponge from the arena, fed a profitable business; perhaps the athlete’s ultimate commitment to promoting their brand? Today blood is even more relevant to sport. Indeed arguably its use and abuse in sport today has come close to destroying the Olympic movement. The modern fascination with blood in the Olympics arose from the new discipline of sports science in the 1960s and 1970s. A key driver was the 1968 Mexico City Olympics, where physiologists recognized the difficulty of getting sufficient oxygen to tissue in the rarefied 2km high air. Red blood cells transfusions increase the amount of oxygen given to people suffering from trauma or anaemia. It was therefore argued that healthy athletes could be given ‘excess’ blood to increase their ability to deliver oxygen to tissue, and hence – it was hoped – enhance their performance in endurance sport. Punto de apoyo / Supporting point by Hernán Piñera. CC-BY-SA-2.0 via Flickr. Scandinavian scientists were first to prove this. In 1972, Björn Ekblom at the Institute of Physiology of Performance in Stockholm, showed a 25% increase in stamina after a transfusion. It was subsequently alleged that Scandinavian athletes were putting this laboratory method into practice. Lasse Viren won double gold medals on the track in 5,000m and 10,000m at the 1972 and 1976 Olympics. Unproven allegations of blood doping dogged Viren, who always denied them, claiming that altitude training and ‘reindeer milk’ were the keys to his enhanced performance. Some of his teammates did later confess to blood doping, however, most notably Kaarlo Maaninka at the 1980 Olympics. Maaninka received no sanction, which may seem very surprising given that blood doping is one of the main reasons we will not see the Russian track and field team competing at the 2016 Olympics. However, although in the 1970s and 1980s blood doping was viewed as morally dubious, it did not break any rules. The anti doping effort of the time focussed more on amphetamines and anabolic steroids. This would change in the 1980s. The LA Olympics in 1984 was the watershed event. There was extensive use of blood transfusions, including by several members of the highly successful US cycling team. Again no rules were broken, but the IOC had had enough and banned blood doping in 1985. However, they had no way of testing for this form of cheating, and it is fair to assume that it continued in secret. In fact the ready availability of genetically engineered EPO in the late 1990s, a difficult to detect drug that increases the number of red blood cells more gradually and naturally than a blood transfusion, undoubtedly increased the use of banned methods. So where are we now? Blood is a part of the Olympics and always will be. 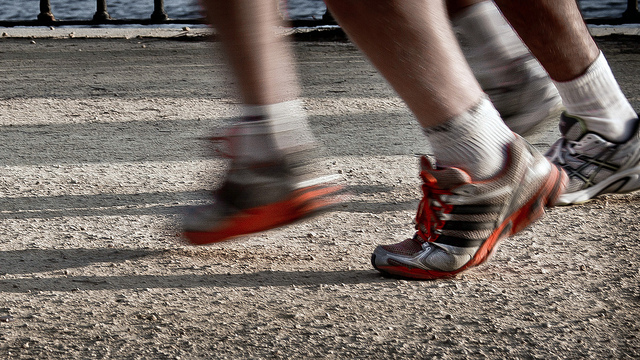 Whilst not imbuing you with the mythical life giving properties of Odysseus, optimizing your number of red blood cells is a key part of success in endurance events. I can guarantee that every medal winner in a long distance endurance event will have had their blood measured frequently by support scientists to conform the success of their training program, whether that program uses methods that are permitted (altitude training, sleeping in low oxygen tents) or banned (EPO, blood transfusion). Featured image credit: blood tubes by keepingtime_ca. CC-BY-SA-2.0 via Flickr. Chris Cooper is Professor of Biochemistry, and Director of the Centre of Sports and Exercise Science at the University of Essex. 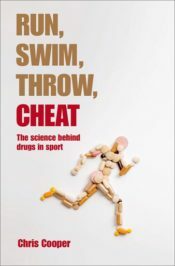 He is the author of Blood: A Very Short Introduction, and Run, Throw, Swim, Cheat: The science behind drugs in sport.